What does your child need to learn during his preschool years? What is the best way to teach her what she needs to know? Would attending an academic preschool have a huge impact on his future education? What do you need to know to make the right choice? Parents, and teachers, respond to this pressure by moving the pre-academic skills children used to work on in kindergarten down into pre-school. If we push children to succeed at academics early, we run a few risks: first, that they will be stressed and pressured about academics. They may come to view reading as the “unpleasant stressful work I had to do” and resent “having” to read in the future. A major evaluation of Tennessee’s publicly funded preschool system, found that although children who had attended preschool initially exhibited more “school readiness” skills when they entered kindergarten than did their non-preschool-attending peers, by the time they were in first grade their attitudes toward school were deteriorating. And by second grade they performed worse on tests measuring literacy, language, and math skills. 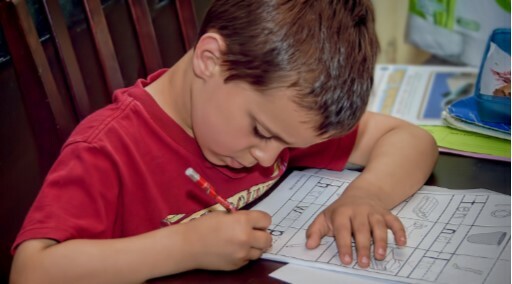 The researchers told New York magazine that overreliance on direct instruction and repetitive, poorly structured pedagogy were likely culprits; children who’d been subjected to the same insipid tasks year after year after year were understandably losing their enthusiasm for learning. Source. The second risk is that academics will displace many other subjects that children benefit from. Kindergarten teachers report that in the pressure to excel in reading or math, programs are cutting time spent on art, music, and science. Source. The third risk is that if we spend all our time working on academic skills, we may be depriving our children of the time they need to spend to learn all the other essential skills (self care, impulse control, conflict resolution, etc.) that are better learned through social play. These skills are much harder to learn later in life. Preschool years are not only optimal for children to learn through play, but also a critical developmental period. If children are not given enough natural movement and play experiences, they start their academic careers with a disadvantage. They are more likely to be clumsy, have difficulty paying attention, trouble controlling their emotions, utilize poor problem-solving methods, and demonstrate difficulties with social interactions. We are consistently seeing sensory, motor, and cognitive issues pop up more and more in later childhood, partly because of inadequate opportunities to move and play at an early age. Source. What’s a better alternative to an academic preschool? Preschool age children do best in a play-based environment, with more emphasis on Process than Product. An experienced, knowledgeable teacher has set out thoughtful invitations to play, and materials to encourage learning (such as Montessori materials). Then the children are allowed to move around the room, engaging in both independent exploration and social play, spending as much time on each activity as they desire. The teacher moves around, making observations and asking questions to extend learning. When children have questions that they need answers to in order to move their play along, the teacher shows them the power of reading, math, and other academic tools to find those answers. This excites them about learning those academic skills. The class also includes some formal group time so children can practice sitting still, paying attention, and following rules. Music, art, and lots of physically active, outdoor play are important. How do you make sure your child learns academic skills? I could say “trust the process.” A good play-based preschool will help your child gain all the “essential preschool age skills” that I referenced above, including academic foundations. In general, if they’re in a good preschool, you don’t need to worry. I know another parent who uses mobile apps and online teaching tools with their kids at home. They say “the games make learning fun for the kids. So, they drill their alphabet or phonics, or basic addition over and over, but they’re having so much fun that the learning comes naturally.” Then they take their kids to a play-based outdoor preschool for large motor play, time in nature, and lots of free play time with other kids. This entry was posted in Early Learning / Preschool and tagged academics, kindergarten, play-based, preschool, testing on January 7, 2016 by Janelle Durham.